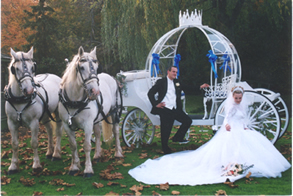 Tips to making your wedding nothing but Legendary for you and your guest, here are a few of my own favorite higher end wedding vendors to help create your own Cinderella fairy tale wedding! First step is joining online wedding sites (i.e. Wedding Wire & LIWeddings.com). Also, I suggest making an email address specific to your wedding so you don’t mix up your wedding information with everything else in your e-mail. 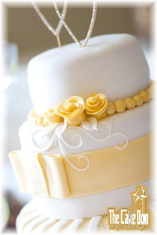 The online wedding sites are very helpful each vendor has reviews, other brides helping you out answering any questions you many have, and much more. Of course you need to start with you wedding venue. This is something you need to decide on your own since this sets the scene, the mood and the taste. Even if you always had your heart set on a certain venue, I suggest you go to tastings, make appointments at more than one venue just to get the feel and to make sure the food is top notch, since that is an extremely important part of the wedding, especially for the guests. Next step is choosing your wedding vendors. The venue you choose may have recommended vendors which may offer you special discounts, but I would like to share my favorite high end vendors with you! The Dress: If you want an actual Cinderella fairytale dress there is nowhere else to look but Disney Bridal! My favorite stores include Kleinfeld Bridal in Manhattan, Bridal Reflections with three locations Carle Place, Massapequa and Manhattan, and lastly The Wedding Salon in Manhasset. Accessories (Head pieces Veils & Jewelry): The only place I would recommend is definitely Christie Lauren & Denise Leli Headpieces, Veils & Much More! Whether you want a custom piece specific for you or want to buy retail they do it all! The Shoes: Common now. Don’t we all know for a girl this is the most important part even if you can see the shoe a girl and her shoes is something special no guy will ever understand. So the only places that I recommend to buy your shoes are Hirshleifers in Manhasset, Barneys, Bergdorf, Nordstrom or Saks! Hair/Makeup: I recommend if you have a personal hairdresser use them they know your hair and what you like. If you do not have a personal hairdresser definitely go for tons of trials with both hair and makeup since this can make or break your confidence for that day. You want to be 100% confident with you makeup and hair so that every moment you truly look beautiful. The Limousines: Obliviously Legend Limousines, where we have a staff of special events coordinators to help insure your day runs on time, fashionable and smooth! The Photos: Being a freelance photographer myself I am very picky on who I would allow to do my wedding, but just like the venue a photographer is very personal choice and I would suggest taking a lot of time researching and visiting a bunch of companies. Two of my favorites would have to be ADA Studios and Patken Photography. The Flowers: Growing up in Smithtown the only place anyone would go for the best of the best James Cress Florist. I also highly recommend Pedestals. The Music: My suggestions for DJ companies are Dream DJ Entertainment and Party Hardy of Plainview. Both will provide a high energy wedding. 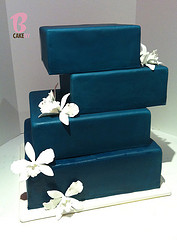 The Cake: I recommend custom cakes. On Long Island there is The Cake Don and in Brooklyn BcakeNY you cannot go wrong with either one. , Not only do they taste amazing but they that much better. All in all your Cinderella wedding is yours and only you know what the best is for you. So make the effort to meet with all vendors, see what they offer & get pricing. Remember that the cheapest price will get you the cheapest service, understanding we are all on a budget but sometimes the saving aren’t work the heart ache the day of your wedding.